• Anonymous said... All I hear from this mother is " ME ME ME its all about ME " NEVER EVER does a parent have a right to do what this woman is doing. I am beyond disgusted with her, it takes just a few seconds to google autism, to reach out to people to learn about it and to understand it. She hasn't that much is obvious. "she doesn't act normal" that is because SHE'S NOT !!! I have an autistic 90% non verbal little girl, she is almost 7 years old. NEVER EVER in a million years would I ever think to treat her this way EVER !!! Yes is hard work, yes they can be challenging but as the adult in this relationship I believe in finding out as much information as I can so I can help my child. It is NEVER okay to belittle a child, to threaten a child regardless of the circumstances. This woman (and I am very reluctant to call her a mother) is a poor excuse for a human being I am beyond disgust! • Anonymous said... As adults, regardless of our past history, it is our job as parents to step up to the plate and find the tools that we need to have as parents. If we don't have the asnwers, how can we expect or children to? It wasn't a child's choice to be here, parents made that choice when they had their child. Being a "victim", & playing the victim role doesn't justify abuse. I understand that parenting an autistic child is difficult and very draining. But as a parent, and an adult, we can not use our lack of support, lack of skills, lack of understanding, & past history as excuses towards abuse. Its not except able, nor is it ever ok. It makes me sad that things like this happen, but I can understand why they do (I still find it unexceptable). I wish more people would reach out sooner before things get so out of hand. • Anonymous said... Hate ....no. Feel like I've been stretched and snapped like an elastic band mentally ....yes! It's HARD....and there is NO support emotionally for families. The only people that get it are the families that go through it! • Anonymous said... Having been abused as a child, I can relate to the story. Some of the things said were just the same. It was quite painful to hear those things from my mother. I'd say the best thing this woman can do for her daughter is to have her placed in foster care. Did this woman understand that the reason her daughter is acting out is that she's sowing what she's reaped? • Anonymous said... I am sorry, but hating your child is way out there as opposed to being stressed by their actions. I love my son. Yes, his ways due to Asperger's can drive me crazy. Especially as a single mom and also having his younger brother I feel that tension of say, him having a meltdown and arguing a thousand ways why he is right/shouldn't have to go to bed/whatever. I can get very angry when he doesn't listen, choosing to keep at whatever he is fixated upon. However, hate *him? * Never! • Anonymous said... I know how she feels... I felt like that until my son was put onto correct medication... He is now so much easier to cope with. I feel sorry for her. • Anonymous said... I love and adore my son. I cannot understand hating a child for a diagnosis they didnt ask for. • Anonymous said... I love Megan, no way do I feel like that. Burnt out, tired maybe. • Anonymous said... I think we hate the behaviors and not the actual child. It's so very frustrating at times!! • Anonymous said... I would say from my own experience I have felt a sense of loss and frustration. I have felt angry at times... but not at my daughter but with the disorder itself. For all the bruises and marks I have gotten and all the insults and things thrown and broken.... I could never say I hate my daughter. I can see what a beautiful soul she has and am angry that she struggles so much and that I can't help her more. I can't imagine a mother saying she hates her daughter as this mom did. She needs to get help before it is too late for both her and her daughter. • Anonymous said... If her child had no legs, would she scream at her to walk? Disgusting. • Anonymous said... I'm sorry but at no time is violence towards a child acceptable. This is utterly depressing!!! • Anonymous said... It is very easy to see the failings of others and 'prescribe' the solution: while missing our own shortcomings.This woman is obviously broken.She hasn't dealt with her own childhood traumas and is projecting them onto her daughter. I do fear for them both, and if she is unwilling or unable to acknowledge and accept responsibility for her own behaviors , then her daughter should not be entrusted into her care. If left as is,Her daughter will continue this legacy, if she doesn't end up taking even more drastic/ tragic actions such as suicide. I am a mother of a 14 year old who was diagnosed with Aspergers this year.I know I don't always get it right: I get frustrated with the daily grind , the loss of my expectations for my boy: But I am so grateful to of been blessed with such a gorgeous,unique, smart and quirky child.This is what I tell him and myself during 'those' moments when you want to weep with frustration! I hope this mother can heal herself and her relationship with her daughter- it takes only a moment to tear someone down, but it takes years of perseverance and hard work to build someone up- they need intervention and support- I pray that they will get the help they need and create a new legacy for the next generation. • Anonymous said... My 9 year old child has ASD and has physically hurt me on a daily basis since he was 3 years old... that is no excuse to repeat the behaviour towards your child. I understand as a parent of a child in the same situation that we do get burned out and we have hardly any support, but to say that YOU hate your child because YOU DONT DESERVE IT....well its disgusting. Since when has her daughter or any other child with ASD deserved to have the condition!!!! !It isn't something that is forced on someone because they are a bad person or done bad things. That poor young girl has a right to be brought up without being judged by the very person who is supposed to love her unconditionally.....it isn't her fault that the world is different from her perspective, that she finds it hard to communicate what she wants, that she is unable to understand what is happening or what she has to do, that the smallest of sensory stimuli could be impacting on her etc etc etc That WOMAN cause she doesn't deserve to be called MUM should seriously speak to other parents to realise that every single parent with a child who have ASD goes through the same thing day in, day out she isn't the only one and instead of physically and emotionally abusing her daughter (which is highly likely impacting on the issues ) she should get help, advice and find ways of turning the situation round before its too late!!! To be honest the way that women is and without a major overhaul of change on her part, her daughter will only become worse.....her daughter doesn't deserve a parent like that and would be better off without her. • Anonymous said... My daughter not being diagnosed until age 11 made it difficult on all of us. Years of not understanding her led to some very frustrating and confusing feelings, which were hard to not direct toward her as we thought she was just being difficult. Now, knowing her diagnosis, and being a clinical social worker, I'm ashamed at how I felt and treated her at times. It shaped her view of the world, herself and others. Early diagnosis, education and support for family members is so important. • Anonymous said... no wonder her child is acting out. Look at the exapmle she had in her mother. the poor child is living in an unstable and unsafe enviroment. no wonder the child is acting out. • Anonymous said... OMG! I am horrified. She can always place her child up for adoption if she doesn't want her! I am daily frustrated by my Autistic child, however I accept her for who she is and I accept her limitations and try to understand her challenges. She is trying to make her child normal instead of accepting her child for who she is! • Anonymous said... She clearly doesn't WANT to hate her child, else she would have left and wouldn't be seeking help.... I'm so sad for her and her child...where is the father?? This is a mother hitting rock bottom and I hope she and her daughter received the help they deserved. • Anonymous said... She needs help. And I don't mean that in a mean way. I mean she needs counseling as well as help in the home. I honestly don't think she's a bad person, she clearly sees she has a problem. I also think she has not bothered to accept that her daughter has developmental handicaps - she needs someone to help her learn what that means, and how to handle it. All parents get frustrated - whether their child is developmentally "normal" or not. We all get tired, and angry and feel like we're being put upon by unappreciative people. However a lot of us also know, and accept, that it will either pass or that we have the means and knowledge to handle the situation. She does not seem to know or accept that. And truthfully, not all women are meant to be mothers, in the end. Not all men are meant to be fathers, either. So there's that. • Anonymous said... She needs love and support. My heart goes out to her and her daughter. • Anonymous said... She needs some serious therapy! As does her daughter. She says she doesn't deserve a child like that - well her daughter deserves a better mother!! I sure hope Dr. Phil hooked them up with someone who can help them both. • Anonymous said... The best thing she could do for her daughter is to put in her foster care. At least the girl would have a few good years without being screamed at, insulted, and abused. Having been at the receiving end of that type of behavior, I honestly wish my mom would have given me up..
• Anonymous said... This Is really sad.....this woman needs help and she obviously does care abt her daughter Bcos she I'd reaching out for help. She hasn't accepted that her daughter is autistic and for me that was a hard thing to do....I have a 14 year old aspie and was diagnosed at 10 . He is amazing and fascinates me bt it took along to.accept that he had s condition. And would I.have it different ,do I wish he wasn't an aspie.....sometimes yes ....Bcos of what he has been faced with and is going to be faced with.... Teenage years are challenging for kids.....and for parents .....teenagers with Aspergers.....even harder. But with support and understanding ......we will all get through it . • Anonymous said... This is why parents with children on the spectrum MUST take care of their mental and physical health. If we don't, we burn out like this! • Anonymous said... Um. I'm not pleased with the trend to dehumanize autistic kiddos. If she really feels that way then she should seek help privately and ensure her daughter is entrusted to the care of someone capable of loving her. Media hype has been bananas lately with demonizing autistic people and validating irrational fears. I am concerned that this trend is causing our children and our community great harm by setting the standard for a stereotype of autistic people that is entirely unfounded. We're this woman a good mother struggling with tragic emotions she could have found thousands of other ways to get help for herself and her daughter. The woman is cleArly a media whore, unconcerned with the impact of her tv interview on the autistic community, our image in society, and the self esteem of autistic kiddos growing up and seeing this garbage on TV. I am certainly not represented by this woman and I find her lack of judgement despicable. I believe she deserves the same lack of compassion afforded to her child and her child deserves a parent capable of love. • Anonymous said... We all make mistakes as parents. It does get frustrating at times, but that in no way makes violence acceptable. I ask has she gotten therapy? Educated herself? When we were first diagnosed, I read everything I could and we found a good therapist to help us. I know I am judging by a small snippet here, but it doesn't seem like she has taken the time to learn. • Anonymous said... We have always advocates therapy for the family as well as the ASD family member. It is very hard and you burn out. His siblings have tough times too. You don't hate your child/ family member but sometimes you hate what autism does to your life at times or to the persons life. Support groups are also necessary. • Anonymous said... What a horrible excuse for a mother. A mother doesn't hate her child....but this one does. My son is aspergers. He has hit me, he has bit me, he cries, etc. But I have never ever hated him for it. He is who he is and a real parent would understand that. We don't sign on to be parents of autistic kids. They are who they are. For this mom to say she hates her child is disgusting. • Anonymous said... While I think it's terrible that this woman feels this way I can also see that she needs help. It's easy for someone to say foster care or adoption is a good solution but they are not always options. In many states a child cannot go into foster care unless cps has gotten involved (my friend is a social worker and a foster mother) and the likelihood of a 14 year old special needs child getting adopted is very slim and group homes are not good places to be and the workers aren't usually trained in ABA or the like. I wonder if Dr. Phil did anything to help this poor family besides point out her shortcomings and leave her feeling worse? • Anonymous said... Yes at times i think to myself I hate autism but never my son but I do understand that everyone is different and we shouldn't judge and support is what people need. • Anonymous said... Yes we all do need support and that's what keeps us from burning out but this woman from what I've seen here takes no responsibility for herself. She admits she doesn't understand Autism. Her daughter is 14. When was she diagnosed? Did she take any steps to learn? Has she gotten any help for her daughter? Did she get therapy to address her own childhood abuse issues? No. She seeks out Dr Phil. She blames her child and passes on the same abuse she suffered. Everything is wrapped in her disappointed, embarrassment and resentment. I can't imagine what damage this has done to her girl. No one is a perfect parent. We've all made mistakes and disappointed ourselves. No one's life is easy but this woman's issues aren't that her daughter has Autism. She hasn't addressed her own issues and wasn't ready to be a parent. Once you have a child, THEY come first. It's not your child's responsibility to fill in the emotional deficits you have. After 12 years of academics, it can be hard for any teenager to leave home and break out on his or her own. But, it is especially hard for teens on the autism spectrum due to the fact that their emotional age is much youngster than their chronological age (i.e., they are less mature in general compared to their “typical” peers). Unfortunately, it's very common for older teens on the spectrum to have poor motivation to find a job, whether the work is part-time or full-time. When young adults with Asperger’s (AS) and High-Functioning Autism (HFA) feel “incapable,” they try to feel “capable” by holding on to the “familiar” (e.g., playing their childhood games, staying at home with their parents, etc.). 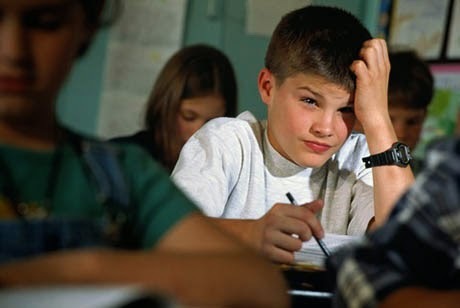 An AS or HFA adolescent who feels incapable will stay in bed, avoid homework, fail to find part-time employment, avoid making plans to continue his or her education past high school, sit on the couch, and withhold overall involvement because it gives him or her a sense of being in control. To the mother and father, the behavior looks like pure “laziness” and lack of motivation. But the young adult sees it as the only way to have power over what’s going on around him or her. The thought of being a “grown-up” with adult responsibilities is overwhelming. The AS or HFA teenager who uses resistance as a form of “control” lacks both problem-solving skills and social skills. It’s important to define the difference between the two: Problem-solving skills are the skills that help AS and HFA teens figure out what other people want from them, how to give it, how to deal with people’s behavior, expectations and demands, etc. Social skills are the skills that help these teens learn how to talk to people, how to be friendly, how to feel comfortable inside their own skin, how to read body language, how to show empathy, etc. All teenagers, regardless of their age, are motivated. The question is, motivated to do what? Play video games, or get a job? Live in the basement, or go to college? If young adults with AS and HFA appear to lack motivation, the parent has to look at what they are accomplishing and assume that this is what they are motivated to do. Thus, part of the solution is getting them to be motivated to do something else. To assume that these young people are unmotivated is a counter-productive way of looking at things. They are indeed motivated – they’re motivated to stay in “childhood mode.” Remaining a “child” means resisting and holding back to exercise control over their impending transition to adulthood (and as you know, children on the spectrum are very uncomfortable with transitions, and “change” in general). 1. First, you will need to determine whether your AS or HFA child is “people-oriented” or “goal-oriented” (note: most individuals on the spectrum are more interested in things than people). Offer incentives that cater to your child’s personality. For example, if she is people-oriented, the two of you can plan a tour of the local college or technical school with a few of her friends. If she is goal-oriented, create a list of milestones for the coming months. If she reaches those milestones, congratulate her and discuss what her hopes are for the future. 2. Explain the numerous benefits of having a job – and an income! This can include increasing your adolescent's disposable income, saving for big-ticket items such as a car, college or a home, and even having benefits such as health insurance. Include in your explanation the fact that many of his friends are likely to have jobs already. 3. Help your adolescent find a job. Let all your friends, coworkers and family members know that he is looking for work, and ask these people to inform you if they learn of any employment opportunities. Assist your teen in looking online, in want ads, or by driving him to job interviews. Practice mock interviews and job-related questions with your teen, and help him write or spruce up his resume. Provide ongoing encouragement if his first few attempts to seek employment are unsuccessful. 4. Make “to do” lists with your child. If she needs motivation to do chores, create a master list together. Check off the accomplished items as she completes them. Does your child need motivation to do well in school? Help her create a schedule that details how long she should study in each subject and what assignments are do. Is she of the age when most of her peers are working at least part-time? 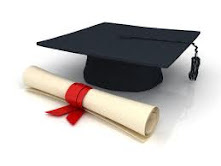 Help her create a list of businesses in the community that hire high school graduates. Check off each place of business she applies to. You will be her “coach” throughout this. She needs to know that she has what it takes. 5. Observe your child’s interests. Don’t “ask” her what interests her – simply watch. See what she spends most of her time doing and what topics make her perk up. Your child will be most motivated to pursue the things she already has an interest in. For example, does she like to read? Then you may have a potential librarian on your hands. 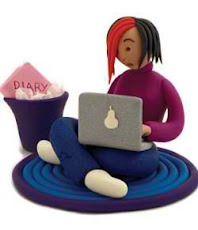 Help her explore the ins-and-outs of pursuing a degree in Library Science. 6. Provide small rewards when your teen takes steps in the right job-seeking direction. This could be a gift card for going on a certain number of interviews, purchasing work-related clothing, and even a dinner out after a particularly tough week of pounding the pavement. 7. Remove distractions and privileges. If your adult child has everything she wants, she will lack motivation to pursue anything more. Luxury items would be things like her cell phone, computer, TV, video games, going out with friends, and so on. Reward activities such as studying, doing well on a test, and helping with chores by reinstating those privileges. 8. Resist the temptation to perpetually nag your unmotivated adolescent. Nagging yields the opposite result (e.g., teens will often purposefully “fail” their classes just to make a point). 9. Help your child to “keep it simple.” AS and HFA teens are very “visual,” so parents can say something such as, “Here are the 5 things you need to do this week, so let’s write these things down and look at your time. It looks like Wednesday would probably be the best day for you to put in an application at McDonald’s. Does that sound O.K. ?” Most AS and HFA teens lack a “game plan.” So this “mountain” that’s actually a “mole hill” that your teen could scale quite easily becomes a huge obstacle in her mind. She starts thinking, “Oh my God, there’s no way I can do all this in one week!” And so instead of actually getting things done, she sits in her room fretting about it. And then the deadline approaches, and she gets increasingly stressed out. Don’t handicap your child by doing things for her. Instead, inspire her by helping her develop a game plan for how to do it herself. 10. If possible, try to find another adult (e.g., friend, family member, mentor, etc.) that would be willing to take your young adult child under their wing. One parent helped her Asperger’s son get a summer job working with his grandfather "pulling wire" as an electrician's assistant, which taught him that manual labor is hard work and he had to start thinking about college. Another parent had her Asperger’s daughter visit her older sister. During the visit, the two of them toured a college that specialized in the interests the Asperger’s daughter displayed. She later attended that college, living with her older sister during the first semester. 11. Use negative reinforcement when needed. List all the negative things that will happen if your adolescent does not get a job (e.g., he will eventually have no way of supporting himself, no health benefits in case of illnesses or accidents, no money for "fun" things, etc.). Let him know that you will be unable to support him or provide disposable income for the long-term. 12. Issue an ultimatum if needed. Tell your adult child that you will not pay for college, a car, an allowance, or even room and board if he does not find – and keep – a job. Give him a deadline to find a job or he will face consequences. The bottom line is this: If you were an 18- or 19-year-old still living at home with no plans for the future, why would you want to change anything if you got free rent, free transportation, free food, showers when you choose, cable and phone access – and nothing is demanded in return? You probably would not want to change a thing – and who would? Sometimes we, as parents, simply have to “pull the plug” on free handouts that keep our adult children stuck in childhood. Unearned privileges lead to a sense of entitlement and a lack of motivation. So, if that’s the boat you’re in now, take ownership of the fact that you contributed to this dilemma at some level. But, the good news is that there are ways for you to motivate your child to become self-sufficient, in spite of the fact that he or she is currently stuck in a "comfort zone." • Anonymous said... I have a 25 yr old, probably affected by autism. My approach is to respect the developmental delay, while encouraging him to responsible maturity. I required him to be in school, working, actively looking for work, or performing service for others a minimum of 20 hours a week. I didn't take away anything to encourage it, just kept reminding him that those things would help him prepare for a happy and successful future. He has since done two years of community college, worked a year full time and is serving a full time, two year mission, for our church. (Including living away from home and responsible for himself.) My now-ten year old is affected more by autism than his older brother. I am using a similar approach. I keep reminding him that the goals I am encouraging are for his benefit and happiness. I make a point of staying cheerful about it and refusing to engage in fights. I have struggled with the computer issues with both of them. My response is to encourage them to look into careers involving computers. The 25 yr old's first job was testing video games that were being developed. His college education (so far) is focused on computer programming. Programming came easily to him and has the potential for a 'real' career. That is reassuring to me, as a mom. Love him and patiently encourage him to be responsible. • Anonymous said... I have a 9 year old aspie, and have learned that they require a completely different set of consequences/rules. So IMO when you say you can't take his computer away because you didn't buy it that's not true. Yes you can and hears why. He is STILL living in your house. Everyone living in the same house is obligated to contribute in any way that they can. Sitting around all day playing video games is not contributing. If he is going to continue his bad grades and lack of job hunting because he's not interested, then he needs to part with that computer so that he does not become distracted with all the house work he'll be doing as his part in contributing. Because one way OR another he will help out, and while he is in your home he WILL follow that rule. Until then, the computer is gone. He will be mad he will probbly have the biggest meltdown you have ever seen, but he will step up. • Anonymous said... I'm in the same scenario. My 17 yr old who will graduate high school in spring 2014 has a D in Spanish and algebra. This week during his IEP meeting we discussed transitioning. The school made it clear to him that he must make up work and go to tutoring to help himself. Unlike your son he does have college aspirations. So I think he will pull it through. His biggest distractions of course is gaming whether on computer or play station etc. Even if he has paid for his equipment if chores or school work suffers there are consequences. He understands them although he always pushes to the line. I also explain to him that he needs to get ready for adult and college life. I will not be able to be there guiding his steps. His counselor also helps with recommendations to get him challenged and keep him focus on the prize. • Anonymous said... Instead of taking privileges away from my son, I allow him to earn them. So he must do what is expected of him BEFORE he gets to play. It has worked like a charm. We dont get paid if we dont show up and do our job...so why shouldnt he adhere to the same rule? • Anonymous said... my son is 17 years old, almost 18. He was headed down the same path that your sons are on. I took away the video games, that he bought, it's still in my house, he had c's and d's while he was playing video games. Now, he is a straight A student, lost over 40 lbs, looks lean and trim. He took on two foreign languages, yes, two! he has signed up for college and is planning on living on his own. He got his first job, and you know what did it? I TOOK THE VIDEO GAMES AWAY! yes, it was a war, but well worth the fight! • Anonymous said... My son is 18. Gonna follow this thread I have similar problems! • Anonymous said... My son just turned 7 and is an aspie...he has told us many times he never wants to move out and have his own house - he wants to live with us forever...Not that we force the subject or anything but it comes up when he asks questions about why we go to work etc...I think I am still in a little bit of denial as to how challenging it will be with him when he gets older and is a teenager. I always thought, well he is only 6/7 right now, he will want to leave the house when he is a teenager or in his 20's, but I also need to admit to myself that he very well may not have the drive to want those things on his own. Very helpful seeing other mom's opinions on the matter as I know I will more than likely be dealing with some of the same struggles as we go. 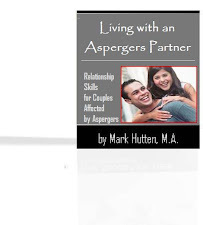 • Anonymous said... People with aspergers tend to have delayed mental and emotional maturity. Just because he might be eighteen physically, doesn’t mean he is that age emotionally, socially, or mentally. I was diagnosed when I was seventeen with Aspergers and it was said (testing) that I was on the emotional level of six year old. Would you expect a six year old to get a job or go to college? I can guarantee that if I have been forced out into the real world at that age, I would be dead by now because my inability to cope and function would have led me to commit suicide, or else be institutionalized if I were lucky. You need to take smaller steps with him. Look into vocational training, try getting him therapy and realize that he just might not be ready yet or even in a few years. You have to stop trying to compare him to the social norm if moving out at eighteen. It isn't impossible, but it may take a little longer. • Anonymous said... Rather than take a negative approach by taking things away, I would reward him by earning things. For every hour spent at work, he gets an hour on the computer. A clean room equals an hour on computer. Etc. • Anonymous said... Those rules go for aspies and non aspies alike. I know it seems like he doesn't care at first when you take stuff. But give it time. he will. then use whatever he likes (my son likes oceanography) and look for a job setting that might interest him. You might have to do a little secret checking around to help him narrow down some leads. it might be a bit overwhelming if not. I also would look into the help the school system gives for kids with disabilities as far as tech school goes and some offer job coaches. • Anonymous said… After years of frustration...we finally found out that part of my daughter's Asperger's was also a Processing Disorder in math....it was all jumbled, her brain didn't know when and how to switch from one function to the other in math. Not being able to filter out noise in a classroom also can add to the inability to pay attention and feeling lost and defeated adds to the lack of motivation and self confidence to even try. I would recommend someone do more evaluation and make sure there isn't an underlying issue that could help solve the first step. Just my opinion from our experience. • Anonymous said… And if he doesn't have a job....he shouldn't haveb a D average!! Take everything away....YOUR THE BOSS IN YOUR HOUSE!!!! • Anonymous said… Does he care that he's failing? Does it seem to bother him? • Anonymous said… Following. My 15 year old on the same exact path in his second year of high school. • Anonymous said… Having the same problems here. "Switch seats". Hardest dang thing I've ever had to do. I stepped back and let the school counselor know (she wasn't much help anyways) and now after failing enough last year (insert dramatic eye rolling because I fought this battle the whole year) she has been enrolled in a different high school, with a 504, for credit retrieval, has a 10 class a day program from 8 am to 7 pm, wears a uniform and has become a better student. I have half a head of grey in the meanwhile but somehow by stepping back she is stepping in. And since they know my expectations of her getting a diploma they assume the role of keeping her on track with assignments being finished at school so no more lying about homework or disappearing assignments. Will see at the end of the year if it's worked here but for now it's made my life less stressful (with the schooling part anyways). • Anonymous said… I have an 18 yr old senior and I swear this fall is when he finally decided to pull it together in school. His grades were abysmal and up and down the past three years. They really do take a lot of time and a lot of pushing on our part. Talk to the school, he should have an IEP and they should be helping him with after school tutoring, extra time for tests etc. Also, yes, you CAN take things away from him no matter who paid for it. If it's getting in the way of him being a productive human(Aspergers or no Aspergers) than you take it away. I've seen other parents do this before with their kids with Aspergers, they're afraid to upset them or push them, take things away. You HAVE to. We took tv & laptop away from our son after he used my fence posts to take his anger out upon. He got the message. Finally. This also helped him get his grades up since he had nothing else to do but actually read/study. As for a job, talk to the school. Ours has a Cooperative Work Training program. They help them with interviews, applications and are getting them internships at places like movie theaters. Talk to the school about community colleges. He may not want to do these things now but he needs a plan. He doesn't need to know what career he wants now, but he needs to do something other than sit on the couch. • Anonymous said… I took the tv away, tablet, cell phone, and I make my son study his notes every night for 20 minutes. His 52% has turned into a 96% without electronic devices in his life. If he scores good he is allowed to go use the computer at the library for an hour. • Anonymous said… I would be focusing on why he is like that as lazy as sitting on a computer looks like for people on the spectrum it can be their out their calm time their obsessions. Does he see a therapist? Can u motivate him to do a online course that requires a computer to do. Does he struggle reading writing and understanding language? There is always a reason u just need to find it and turn it around its not easy but possible. • Anonymous said… If he has an IEP and is not passing school then there should be programs that he qualifies for additional learning. There should be a transitional program as well. My son just started HS and I am seeing a lot of the issues that you are seeing right now. It has been hard but he has had a lot of accountability. I have taken away most his free time. If he can't handle even turning in a paper that I signed for him then he does not need to play on his tablet. I am also working on the school creating a group specifically for kids with Aspergers/ADHD to help with all the frustration of HS. I think we are continually seeing how tough this age is with males with AS (I personally have Asperger's so I know how tough it was for me). Our kids need lots of support - but they also need to pushed to succeed as well. • Anonymous said… If he lives under your roof, you can refuse to allow him to play video games.. Your house your rules. • Anonymous said… Is he just not doing his homework? Is that why he's failing, or is it tests also? • Anonymous said… It's probably because school is boring. Aspergers teens are easily bored. He's not being challeneged. Also sitting all day probably doesn't help either. Someone has to motivate him. Is there a vocational school around you? One where he will do hands on work and learn a trade? It's not always them refusing to do something because they just don't want to. He has no interest. The reason he plays video games all day is because he gets a sense of accomplishment from video games. That's the best way to get an aspergers kid going..... by providing ways he can achieve a sense of accomplishment. • Anonymous said… It's your house and electricity. I'd take it away and start earning it back. No job is extra work. • Anonymous said… my 20 jearold grandson tryes very hard to find a suitable job and wants to go to universitat but i cant see him suceed as he has so many other problems because of Aspergers. not eating not sleeping etc. etc. • Anonymous said… Speaking from experience with my 17yr old Aspie this situation can be a double sword. My son was behaving in this manner and I say was because he no longer lives with us however I took his computer and attempted to get him motivated by not supporting his life of luxury however he became very bitter of me and now after a lengthy battle thinks I'm a phycopath. My aspie doesn't like consequences and holds them against you.....I'm not saying support his habits as I don't believe this is okay but prepare yourself for one hell of a ride. • Anonymous said… Thank you for sharing my son is up and down from one week to the next. When my son stresses out he just goes the extreme and gives up. Last year my son had to be hospitalized and was failing. This year he has an awesome aide that inspires him. He is getting good grades now. Still has emotional issues. You would think I would be an expert now but they are so unique. My son hates to write. They cut down his homework and allows more testing time. Wish you and your son well. • Anonymous said… this is what I was talking about; relevant and helpful on our challenging path. • Anonymous said… Would you not consider going to Therapy? Maybe a good Reality Therapist would be able to guide you? It is so frustrating, but don't give up on him. • Anonymous said... Humm I would think that the computer is in YOUR house and you are supporting him. You can control the amount of time he is on it. Help him set some goals. Daily expectations, etc for him to work toward. And help him make the plan. Help ease his fear of failure. Get some friends to do some mock interviews. Help him fill out applications. Drive him to to the store and have him introduce himself to the mangers. If he's interested in somethings help him set up a job shadow experience for 3-5 days. • Anonymous said... I'm having my 18 year old, volunteer his time. See if you can find something that would interest him. They do want to feel like they are needed. My son doesn't even drive yet, yet he walks 3 miles to go volunteer, so he is loving it. Start them out slow though. • Anonymous said... Some really good ideas already. As for learning he Clearly through technology is how he will best learn. Ask his teachers if they can help teach him through more visually supported materials, to help engage him in topics. Check to see if there's any educational applications u can use to aid in his learning at home. I design power point presentations for my son when going over topics and use these in the classroom when teaching topics. Then have a reward set for the end of each day once he meets his goals. If he doesn't meet his goals yes no computer time for example which is fine. Due to his learning style u will need to allocate a good hour each day to be involved with helping him learn, I do with my son every afternoon n it makes the world of difference. • Anonymous said... Let him get involved in something that's an interest to him Is he hands on ? My daughters more practical than academic. • Anonymous said… What? What does grandma paying for anything have anything to do with how you raise and discipline your children? • Anonymous said… Ask him where he plans to live and how he plans to pay for his bills ? • Anonymous said… He might try playing simulations & games that relate to job-related skills. These are called "serious games." • Anonymous said… I wish I could give you some really god tips, but I have not found any. I would start out with trying to find out what grade level she is, and start from there. I do know that if a child has a really hard time remembering multiplication than they usually can't understand everything that comes next. I would talk to her Teacher and ask if she can use a calculator. I also have a 14 year old son with Asperger's and he goes to a school for special needs students, I made that decision for him after sending my daughter to public school from K-12. I know that my son's school teaches at the level he is learning on and that has made a big difference for him. • Anonymous said… IEP? Does he have to graduate or can he stay in high school til 21? • Anonymous said… My 26 Year old daughter has a very high IQ and her grades in highschool were pretty good, but her social skills are very immature, as the article stated a lot of people with Asperger's are. We did not find out until after she graduated from high school that she has a mathematics disability. She has attended College three times and her grades were good but the anxiety was extremely high. She is now working with a job Coach, but even with the professional help it is long process. • Anonymous said… My aspie will be 18 next month and life has been a struggle to say the least. Counseling, medication etc. Nothing worked. He wouldn't go to class, say he had, disrespectful, using marijuana. I tried everything. The one thing I stayed consistent with were my rules. I took his IPhone that he bought then finally took him off our phone plan, took video games. I am the parent and didn't care who bought his items. Finally pulled him out of school last fall with the agreement that he would get his GED or a full time job. He is a smart smart kid but no motivation. We finally told him he was not following through with the deal that we both agreed to and if he didn't comply he would need to find alternate living arrangements once he turned 18 which is next month (may). We heard all the guilt trip comments. We weren't willing to house a stoned lazy adult and yes as hard as it would have been we were willing to put him out and he knew that. One thing we had going was his dad who is a plumber (new construction) was able to start taking him to work with him. It has been the best thing for him, he has made leaps in his attitude and behavior. 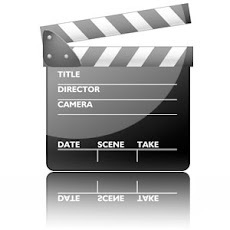 It is not his career choice and we are always encouraging him to continue with his goal of being a music video producer but he needs money for equipment and such so right now this is his path. I feel your pain and hope something works out for you. • Anonymous said… That works with my neurotypical.. never my aspie. Punishment doesn't motivate. You have to find what's motivating. • Anonymous said… The only thing that motivates my daughter is money. Every grade has a monetary value. Then we researched and wrote down items she wants and costs. She's very black and white and has had all A's since we started. • Anonymous said… This article has been eye-opening to me. I never looked at my son as being motivated at all but I can see that he is motivated to stay in childhood mode where it feels safe for him. It also gives me a whole new way to look at helping him, with all of the suggestions you have outlined. Thanks for sharing this. • Anonymous said… We have an eleven year old Aspie great grandchild who who struggles with math. I appreciate any tips on teaching math that we might consider at this stage in his life. Thank You! • Anonymous said… We have lots of medical issues we're dealing with here. I guess my son was not Dx'd Aspie and his is HF. Just so everyone is very "realistic" about this, most of our kids have several subsets including: bipolar, anxiety, seizures (that cause regression), depression and asthma, all very real medical issues that and can be crippling, just one of them. If you're healthy, you're a lucky person. Your health is your wealth. A given is the social misunderstandings and some safety issues that happen 24-7 but people can thrive irregardless. I just don't want the very real medical issues overlooked because they can render someone hospitalized or homeless. The majority certainly need supports and some are lucky enough to have them in family or loved ones but that's not always the case. Health status is important especially when dealing with so many different issues. Independence is always a goal but not always attainable. • Anonymous said… What you can take is the electricity, bed, food, etc. One at a time...let him know adults have to pay for these things themselves...so ask how he plans on accomplishing? • Anonymous said… You can't take the computer away, but you can change the wifi password daily. If he wants the password, he needs to study and do one other thing that you think he needs to do. Maybe he needs to straighten his room, or help do anything for one hour. • Anonymous said… You don't at this point. Let natural consequences take hold. Once he's out of high school -- with or without a diploma or certificate -- give him a deadline for when he has to either have a job or make arrangements to register for trade school. If you let him take the easy way out, he'll take the easy way out (that's just human nature, and has nothing to do with AS). Does a formal autism diagnosis lead to being stigmatized for life?! “My son just turned 11, is in 5th grade and it’s suspected he has high-functioning autism. He is super quiet at school, does not have any friends, hangs out by himself on playground and lunch, has a strong fear of the school fire alarm. At home he is talkative but does have many routines as well as he sometimes checks things excessively. With extended family he is talkative and great, and walking the dog he’ll converse w/other dog owners, etc. (same at tennis lessons, pretty comfortable with others). Does not have any friends but wants them and is very aware he’s basically silent at school and wishes he wasn’t I believe. Recently, the school psychologist suggested he be officially diagnosed for then he will get all the services available from now on. I’m very concerned he will be stigmatized and teased from now on if we do that formally at school. What do you think? I want the absolute best for him all around and I wonder if he were stigmatized at school, that humiliation may stick with him the rest of his life. (Obviously, I wish for a way to teach him the social skills to be comfortable around others, know what to say, etc....I guess to be more like everyone else)." I would strongly encourage you to forget about the “concerned he will be stigmatized” argument – he’s already stigmatized. If he has a hard time relating to his peers at school, then he is most likely “labeled” by his peers at some level already (e.g., shy, backwards, strange, doesn’t fit in, or any other labels that children attach to one another). In other words, the other kids already know that your son is somewhat different in a sense. Kids are very smart, and they pick up on even the little things at a deeper level than we give them credit for. Getting a formal diagnosis is not going to change much at this point, especially if things go as they are supposed to. That is, the only people to know of the diagnosis are the teachers, psychologist, and you. The other students don’t have to know – nor should they. I agree with the school psychologist that your son should go for a formal assessment. It’s better to know than not to know. If you have high functioning autism (Asperger's) and don’t know, it affects you anyway! If you do know, you can minimize the negative impact and leverage the positive – and there are many more positives than negatives!! Without the knowledge that you have high functioning autism, the tendency will be to fill in that void with other, more damaging descriptions (e.g., I’m a failure, weird, a disappointment, nobody wants to be my friend, and so on). It is never too late for any child to increase self-awareness in order to capitalize on strengths and work around areas of challenge. Realizing you have the disorder doesn’t have to deflate your self-esteem. 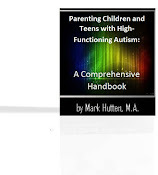 Knowing about high functioning autism gives you and your son an explanation, not an excuse, for why his life has taken the twists and turns that it has. It’s very important information to have. If you thought your son had diabetes, wouldn’t you want to know? Of course you would. This is not much different. Both conditions (even though one is physical in nature and the other is developmental) are very treatable. But you can’t treat it if you don’t know you have it. Get the assessment. In hindsight, you’ll be glad you did. Parent’s response: "Thank you, that all makes sense. The psychologist at school said they were going to do an assessment at the end of the school year (I'm not sure why so far out.... I have a call in to her to call me back). In the meantime, are there things we can do or practice at home to help him (especially with conversation skills with kids his age)?" I hate to sound like the "just don't worry about it" therapist, but this does fall into the same category. Here's the deal: your son is shy around unfamiliar territory. Conversation "skills" don't fix that. Time, however, does. As he matures and accrues life-experiences, he will become more comfortable in his own skin - and in the world. Until then, let him be who he is - and let him deal with his social anxiety as he does. Again, he will grow out of his shy nature to a significant degree eventually. This is an anxiety issue, and teaching conversation skills would simply treat a symptom of this - not the core issue. I think you, too, need to relax in general. I'm starting to see a pattern here with you. I don't mean this in a disrespectful way of course, but sometimes the parent is so uptight about a number of issues that it makes the child uptight as well. He is picking up on your anxiety. Make sense? • Anonymous said… It took until he was 13 for us to get a diagnosis for our son, he said it was a relief to understand why he found some things so challenging. Now with the right support from those around him he is planning to move away next year and study at university. • Anonymous said… The best thing I have ever done for my daughter was too finally have a diagnosis. Had no idea it was Aspergers and nobody pointing us in the right direction didnt help. Its was a call to Autism SA to ask about sleep cues they use for Autistic children, because our daughter had trouble going to sleep that I finally felt I was being heard. The lovely lady asked about our Daughter and said she ticked a lot of boxes. I now feel I understand her and can help others understand her. • Anonymous said… Yes! Get him evaluated by a psychologist. I fought it for a couple of years myself. At the end of second grade, a teacher who we adored and trusted told us to get him evaluated and diagnosed. Once I started doing some research I realized my son had most of the traits of Aspergers. Now my son gets a lot of help at school, much more understanding teachers (although some are still not great) daily sensory breaks, social help, etc. • Anonymous said… Yesterday my 10 yr old was diagnosed with Aspergers. He is very smart, and funny. He told me, "Mommy now I know things will get easier now that you guys will be able to understand me better." My sweet sweet boy taught me a valuable lesson yesterday. Any advice would be appreciated. • Anonymous said… A diagnosis can only help. They will give you a lot of information when they give you the results so you will know more about where he is struggling. My son is high functioning and is in a social skills group at his school. It has helped tremendously. Since he has a diagnosis we were able to get him an iep and from there give him the services he needs. I know seeking a diagnosis is scary. However, you will truly understand your child better after you go through the process. Then you can get the school to help by giving him an iep and services such as a social skills group. Also it helps the teachers to have an iep to know exactly what supports to put in place.My child isn't ostracized from having a diagnosis. If anyone asks he is very direct with them about his diagnosis. There is no shame in a diagnosis unless you make it that way by your attitude toward it. • Anonymous said… Having a label, a 504, or an IEP won't always solve the problem unless there is something specific that the school should/can/will provide that is for the functional school setting. Being "the quiet one" has actually gotten my youngest son praised as the well behaved student. Integrated school or after school programs could help with making friends ( best buddies, big bother big sister, boys and girls clubs). I have found that making sure my kids go to the public school they are zoned for and trying to make note of kids that we see on the way to and from school helps. The fire drill is also an issue for my oldest son but because they are scheduled drills about the same time each month he has accepted the routine. If there is something that you are worried about that could cause him to get into trouble then a behavioral modification plan could be the easier form to set up with the school as a precaution. • Anonymous said… He already doesn't have friends at school, an iep can't make it worse. My son had the same issues with making friends, they will come. Find what he's interested in , gaming, horses, playing an instrument and get him involved somehow and chances are he will find a friend a lot like him. IEP has been very helpful for us. Friends will come, be patient. Get to know his teachers, school can become overwhelming or difficult and teachers need to be aware of their diagnoses or your child could be mistreated not by the students but by the teachers. You are his voice. 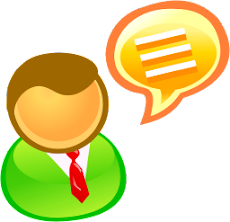 • Anonymous said… I disagree with the response related to conversation skills in the reply. I have an Aspie that is also 11 and he has made great strides socials because of the social skills discussions and practices he has had with a speech pathologist over the past 5 years. She has helped us identify challenges and ways to explain relating to others to him in ways he would not have developed on his own. I personally would encourage an evaluation outside of the school and seek a speech pathologist who has worked with high functioning autistics ASAP. • Anonymous said… I would have it documented at school, but request that it be kept confidential from other students in his class. That way, they'll never know and your son won't get teased. • Anonymous said… Knowledge is power. A diagnosis doesn't have to be a label. And one can only be stigmatized if one allows that. You & he can Gain knowledge & understanding of his disabilities and use his strengths & work on any weaknesses. • Anonymous said… Look a diagnoses isnt the end of the world. Kids are mean and probably already tease him because he is so quite. 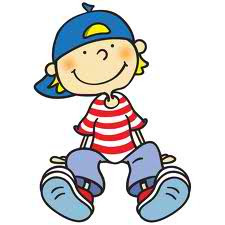 If your child could have a possiblitity of Diabeties wouldnt you get him diagnosed and get him what he needs. Its the same thing with Autisum. I see kids with HFA as gifts. There are so many people that are CEO and very successful that have HFA. My son was diagnosed at the age of 6 almost 7 and now that I know I have been able to do the research and learn how to help him, and most importantly help him understand himself. • Anonymous said… My son is for the better since being diagnosed high functioning and getting early services. I've never felt he was stigmatized at school,if anything it's helped him immensely!!! I think his classmates have also benefited and have learned how to be more compassionate toward people with disabilities. If I had to do it over again,I would choose the same road. I wish you the best for you and son. • Anonymous said… This sounds exactly like my son. He is diagnosed with HFA, Tourettes, and ADHD. He does not have an IEP and they refuse to give him one. He receives no services at school. He is in all advanced classes. He loves being an Aspie and has never been bullied or picked on about it. He has a few goods friends, but mainly keeps to himself. I think what has helped him make friends is his art ability. Other kids have noticed him drawing and have started conversations with him. We do social skills at home and go to a group. • Anonymous said… We must remember that the 'label' a child is given when they have an IEP or section 504 is virtually invisible. Other children or teachers other then your sons teacher will likely never know that he has a 'label'. Teachers take their students privacy very seriously and will not be talking about him to others. Let's take a quirky kid for example. His peers will already know he is quirky and likely he does as well... Having a 'label' will not change it. But having a 'label' could provide him with additional support in learning appropriate social behavior that will benefit him for the rest of his life. • Anonymous said… With out my daughter diagnosis things could have gone much worse. Sensory issues and anxiety and the struggle w/ socializing and processing information, The staff knowing was a much better situation. She simply would not have graduated. If the student is smart and can deal w/ said issues well...just think how much more he can do w/ accommodations. The sky is the limit. • Anonymous said… You have to get him help to get through school. A diagnosis may be the only way for you and your family to get additional assistance or modifications to improve his experience. I put off getting a formal diagnosis for years and now we are all suffering because of it. His teachers may label him as a bad or weird kid if you don't get involved and get everyone to understand what he needs. Good Luck and hang in there. He is so worth it. Do whatever it takes and do it soon!! Kids with Asperger’s (AS) and High Functioning Autism (HFA) tend to “act out” their feelings. This is how they communicate. They show you how they feel with their whole bodies, not just their words. The message of a meltdown is: “I’m frustrated and upset, and I don’t know what lead up to it or what to do about it.” Our role as moms and dads is to read these hidden messages and help our “special needs” kids express their frustration and confusion in more appropriate ways. If your AS or HFA youngster is prone to the periodic meltdown, know that it is very possible to find a way to understand his or her frustrations, but change the inappropriate expression of them! 1. Dealing with anger: Since “meltdown triggers” and “angry feelings” are directly related, having discussions about anger (during those times when your child is calm) can help you establish a foundation to build on when identifying your youngster’s triggers. Ask her some important questions about emotions (e.g., what makes her angry, happy, sad, etc.). The purpose of this is to teach your child how to identify various feelings, to learn what it means to feel angry, happy, sad, disappointed, etc., but not to give her an excuse for acting-out behavior. This also helps your child to communicate her feelings to you clearly so that you are in the best position to help her learn how to cope. 3. Identifying physical symptoms: Often there are physical symptoms that go along with impending meltdowns. The child’s nervous system kicks into high gear when a trigger is present and can cause several identifiable sensations (e.g., rapid heartbeat, flushed cheeks, rapid breathing, cold hands, muscle tension, etc.). Ask your youngster what she feels in her body when the trigger you are talking about is present. When your child is aware of the warning signs her body gives her, it can serve as a natural cue to put the new plan you came up with during your problem-solving discussions into action. 4. 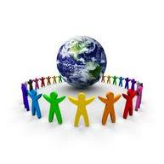 Teaching independence: In your child's mind, the entire world revolves around her. What she wants, she gets, and her mom and dad should always be at her beck and call. Of course, the world doesn't work that way, and a major meltdown trigger is watching someone else get the attention. This might occur if you have another youngster or a pet, or if you are visiting with friends. Teaching your AS or HFA child to be independent is an important part of parenting. At home, give her the opportunity to entertain herself quietly by playing with dolls, for example. This will often translate into entertaining herself when you're focusing on something else, which can help avoid meltdowns. 5. Internal frustration: Some AS and HFA children tend to be perfectionistic and obsessive. The inability to do something right after several attempts, or the lack of language skills to get her point across can get the “meltdown engine” revving. Observation is your best tool for identifying “low frustration-tolerance” in your child. Pay attention and be aware of the warning signs. Watch and listen, whether your youngster is playing a board game with friends, doing homework, or trying to tie her shoes. Keep your eyes and ears open at all times, and look for patterns and connections. 6. Over-stimulation: Although many AS and HFA children enjoy going out to eat, going to malls, attending birthday parties, etc., it can get quite overwhelming for them to the point they start reacting to these unfamiliar surroundings and faces. Many of these kids will exhibit frustration simply because “the unfamiliar” gets to them, especially if there are a lot of foreign noises and smells. Thus, if the environment seems too “sensory-unfriendly” for your child, you may simply want to “bail out” and return home for a time out. 7. Parents rushing around: AS and HFA kids don’t understand time as grown-ups do. They pick up on your anxiety around time constraints, but they are not always able to work quickly in order to meet your demands. 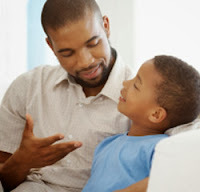 If you’re always in a rush and your youngster is always having meltdowns, try to investigate whether there is a connection between the two. Of course there are times when you’re in a rush, and your youngster will need to hurry along. When this happens, state your expectations clearly and take action. For example, you may need to put his shoes on yourself, pick him up, strap him in the car seat, and leave. Try to do this automatically without shouting and resentment. And if you feel like you’re always rushing your “special needs” youngster, make a special effort to slow down where possible. 8. Parents talking on the phone: Sometimes when the parent is talking on the phone for extended periods of time, it can be a trigger for some AS and HFA kids. It’s either the loss of attention that they react to, or the desire to have control over you that gets them to meltdown when you are on the phone. A “call box” has helped many moms and dads get through lengthy phone conversations. Have a box ready with some things inside that your youngster can busy herself with while you spend time on the phone. Of course, you could always choose not to put yourself through the dilemma and make your calls at another time – or keep them as short as possible. 9. Reliance on routine: AS and HFA children tend to rely on routines to keep them comfortable and content. In fact, most of these kids are dependent on routines, because too much activity and change can overwhelm them. A change in routine is a major meltdown trigger that can easily set your youngster off. Thus, try sticking to daily routines as precisely as possible. If you do have to change the routine, make sure your child is well-rested and content. Let her bring a favorite toy or stuffed animal with her if you have to go somewhere. If you notice she is starting to exhibit signs of a meltdown, take her into a quiet place to calm down. 10. Shopping: Shopping is not an enjoyable leisure activity for most AS or HFA children. It can be an assault on your youngster’s senses that leaves her feeling overwhelmed. This is because the sights, sounds, touch and “busy-ness” of everything can cause sensory overload. But if your child survives the sensory assault, then the frustration of not getting everything she wants can lead to a meltdown. So in general, shopping with “special needs” kids is not desirable. But of course there will be times when shopping with your youngster is a necessity. If this is the case, then it would be helpful to keep it short. State your expectations clearly and stick to them. Make your child an active participant rather than a passive bystander. You can do this by giving her a job to do (e.g., help with putting the items into the trolley, unpacking them, choosing them, etc.). But bear in mind that it will be hard for your child to fill up the whole trolley and receive nothing for herself. This is a very high expectation to hold. If you take her shopping, you may want to allow her to get something of her own, but you can define what that is (e.g., her favorite cereal, snack, etc. ), and then set the limit at that. 11. Signaling: Signaling is a common behavior modification strategy for children on the autism spectrum. Choose one specific trigger to work on, and then come up with a phrase or hand signal that will serve as an alert to your youngster that the trigger is present. This allows you to make your youngster aware of the trigger subtly in social situations. Once you have alerted her, she’ll have the chance to self-correct. However, if you signal your youngster, but she doesn’t use the response the two of you had planned on, have her take a break from whatever is going on to come speak to you in a quiet place (away from an audience). This is where you step in and help your youngster correct her behavior. Let her know that you gave her the “cue,” but she didn’t respond the way the two of you had discussed. Remind her of what you talked about, and let her know what the consequences will be if she doesn’t use the plan the next time you signal her (today). 12. Teaching “self-observation”: When your child is calm, let him know what you observe regarding the connection between his triggers and his meltdowns (e.g., “I’ve noticed that when you think something is unfair, you get upset and start throwing things”). By connecting the dots for your child, you are helping him learn his triggers. This technique should be part of a problem-solving discussion that includes you and your youngster coming up with a plan for what he will do differently the next time he is in this dilemma. 14. Tiredness, hunger and sickness: When your AS or HFA child is tired, hungry or sick, he is running on lower emotional resources to cope with normal expectations, which is the case with ALL kids – but especially those on the spectrum. This means that if tired or hungry or sick, where your child would normally be happy to share, get a bath, get dressed, etc., he will be unhappy. Thus, do what you can to deal with the primary issue – feed your youngster, or get him ready for bed. Then think of how long it will be until he is sleeping. Try not to get hooked into the power struggle. Access your own emotional resourcefulness since your youngster will be running on empty. 15. Transitional experiences: When AS and HFA kids move from one experience to another (e.g., waking up, going to school, moving from “play time” to “homework time,” etc. ), it’s a prime opportunity for a meltdown. Many transitional experiences can erupt into meltdowns, because AS and HFA kids don’t like change. They find the transition difficult. It may not be that they don’t want to get a bath or get dressed – it could be that they are protesting at having to change! Thus, give your youngster time to adjust when change occurs. Of course, this is easier said than done when we live in a rush. But, AS and HFA kids do need more time (e.g., in the morning, your youngster may need to stay in his pajamas for a little while before getting dressed). Also, “prepare” your youngster for transitions as often as possible (e.g., “We’re leaving to go to grandma’s house in a 15 minutes. You can start finishing your game”). How was Thanksgiving last year? Did your “special needs” youngster handle the day with grace and gratitude, or did you see new behavior problems amidst the holiday hullabaloo? Witnessing more than the average amount of behavior problems during the "long" Thanksgiving weekend is not unusual, particularly when you spend the holiday with a lot of friends and family members. As much as you may attempt to keep life consistent, Thanksgiving often disrupts the routine, causing sleep and meal disruptions. Your child usually (a) sleeps less soundly if he is not in his own bed, (b) goes to bed later than usual, (c) gets too much attention from family members, and (d) gets more sugar than usual. No matter the specific cause of the behavioral issues, you are left to deal with a youngster who is not himself. Whether he is showing behavior problems or attitude issues, your child is behaving uncharacteristically. This can confuse the most well-meaning mother or father. 1. As with any social occasion combining kids and grown-ups, be prepared to take your youngster with Asperger's (AS) or High-Functioning Autism (HFA) away from the larger group for one-on-one, calming down time if needed. 2. Moms and dads love to see their kids get excited about the Thanksgiving holiday, but there is a fine line between healthy excitement and disruptive over-stimulation. When that line is crossed and your AS or HFA youngster shows signs of "melting-down," be prepared to intervene quickly to help her calm down and get back in control. 3. When visiting family or friends, ask your host what activities are planned for the kids, and whether there is a quiet space your AS or HFA youngster can go when she is overwhelmed (or a place she can run around if she needs to blow off steam). 4. Moms and dads need to be flexible when making holiday plans for AS and HFA kids. Perhaps others can travel to where your youngster is, rather than requiring him to travel. If your youngster must do the traveling, try to allow enough time for two or more breaks during the day when he can get out of a moving vehicle to stretch and play. Take advantage of parks and playgrounds along your route. Many airports now offer indoor play areas as well. Once arrived at your destination, give your youngster the opportunity to explore his new surroundings before having to get dressed up or participate in a formal activity. 5. If your child doesn’t like to be touched, say to your family members something like, "My son doesn’t like to be hugged or kissed, but please don’t take it personally." 6. Why does it appear that your “special needs” child ramps-up his misbehavior over Thanksgiving? There are several justifiable reasons for this. Moms and dads want to make happy holiday memories with their kids, but holiday traditions are stressful for young people with AS and HFA. Holiday time usually means a complete change in your youngster's routine. School is often out, and there is no predictable rhythm to the day. Meals, homework time and bed time are all disrupted as families travel and gather together. Activities involve a lot of adult conversation, and outdoor weather can prevent needed movement and space for your youngster to burn off some pent-up energy. So, please keep these things in mind before you blow your top when your child "acts-out." Her behavior has more to do with over-stimulation and sensory sensitivities than willful misconduct. 7. Work with your hosts or other relatives to provide some indoor activities. A well-planned period of making arts and crafts or playing a simple board game can help everyone have a smoother and more enjoyable day. 8. Briefly describe your youngster’s special needs to your host (e.g., dietary restrictions, private space needed for timeouts, etc.). This will give your host the opportunity to prepare appropriately. A phone conversation may also provide you with helpful information, which will increase your own comfort level as you plan to attend a family get-together. 9. Try not to change your youngster's diet too much, in order to prevent tummy aches or other types of gastric distress. 10. Make sure you have access to appropriate clothing for local weather, and take your youngster outside for an extended period of play each day during your visit. 11. Limit sugar. Allow your youngster a Thanksgiving cookie or two, but not much more. 13. Keep meals as consistent as possible, even if that means feeding your youngster before or after the main family meal. Set alerts on your phone for meals and snacks. 14. Keep bed and nap times as consistent as possible. It can be difficult to get your youngster to bed at her normal bedtime when so many others stay up hours later, but sleep is the top consideration when facing behavior and attitude problems. 15. Find multiple opportunities to verbally praise your child for behaving appropriately throughout the Thanksgiving weekend. If he's sitting quietly playing a video game -- it's "praise time" (e.g., "You're doing a great job of entertaining yourself"). 16. Extra noise in an enclosed space can be overwhelming for AS and HFA children. Thanksgiving Day often has lots of people talking, kids running, background music playing, etc. This extra stimulus can be exhausting for your youngster to sift through in order to communicate. So, if possible, try to keep the noise and chaos to a reasonable minimum. If you are celebrating at home, designate your youngster’s bedroom as a safe “noise-free” place where he can retreat. If you are out at a friend’s or relative’s home (or a restaurant), ask if there is a quiet spot that your youngster can go to if necessary. 17. Consider your youngster’s personality. If he’s an introvert, give him some quiet, alone time. 18. Consider the youngster’s “love language.” If she thrives on words of encouragement from you and you spend all day talking to adult relatives, she may act up. 19. Keep your expectations realistic. When you sit down to make your plans for Thanksgiving, write out your “wish list” and then cut it in half. Many moms and dads sabotage themselves from the start by thinking that they can do it all. Lighten up on the things you think you need to do, and focus more on the things that you and your family want to do to add meaning to this special day. Don’t put too many demands on you or your child. Choose a few special things to do during the day, but be sure to plan for some down time as well. 20. If, despite your best efforts, your youngster shows behavior problems, act on them before they escalate. Deal with whining before it escalates into a tantrum. Deal with grumpiness before it turns into a fight with a family member. Deal with a noisy environment before you witness a meltdown. Keep your eye on your youngster, and quietly and politely excuse yourselves if you need to discipline him. Then commit to retraining him when you get home.